Washington County, New York - July 18, 2018 - “See. Taste. Explore.” That’s the heart of a new brand designed to position Washington County as one of eastern New York’s most original and exciting destinations for those seeking to enhance their historical knowledge, take in new arts and cultural sights, and treat their tastebuds to something unique as the county itself. The fresh marketing campaign will begin this summer and serve as a driving force for Washington County’s growing momentum as a key player in the New York and New England tourism markets. The new tourism brand initiative also is designed to uniquely position Washington County in the competitive and changing tourism landscape. “Today&apos;s regional visitors bring a new set of goals and expectations to their explorations," said Sara Mannix of Mannix Marketing "Millennials and other adventurers are seeking experiences that are original, authentic and off-the-beaten path. Washington County is perfectly aligned to meet those goals, with attractions and activities that can&apos;t be duplicated anywhere else." 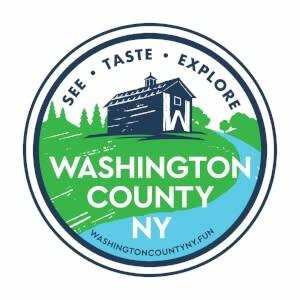 A primary feature of the new Washington County tourism website is a directory of local arts, history, and agricultural sites. The new tourism brand and its “See. Taste. Explore” tagline was the result of a strategic economic development initiative that included input from stakeholders across Washington County. “As we designed the creative identity of the brand, we wanted to make sure that we effectively captured the diverse and unique characteristics that our own residents, businesses, and visitors identified as Washington County’s true selling points,” said Andrew Meader of 8 of Eight Strategies, which is leading the marketing initiative in partnership with visual branding partner black dog DESIGNS and social and digital media partner Mannix Marketing. “A key component of our approach is developing and offering education and resources that empower local businesses to promote their own place in the “See. Taste. Explore” identity.” The first offering will be a free workshop offered by Mannix Marketing that will provide guidance to businesses seeking to improve their Facebook marketing strategies. Additional workshops will be scheduled throughout the remainder of 2018. The first public marketing launch of the tourism branding will be a new website: www.washingtoncounty.fun. The site is designed to be a core resource for visitors seeking to map out their Washington County adventure. “Our intent is that visitors will be able to easily identify the type of events or attractions that interest them, whether it’s timeless historical attractions, arts, dining, agritourism, local bed and breakfasts, or outdoor activities,” said Jesse Tyree, Principal of black dog DESIGNS. “During their time on the new website, we also hope future visitors will discover new ideas, events, and destinations to enhance their time in Washington County.” Marketing for the website will be targeted to residents and visitors of nearby counties and other regional tourism hubs. Additional information can be found at www.washingtoncounty.fun or by contacting Washington County Tourism at vist@washingtoncounty.fun or (888) 203-8622.